The European Solar Decathlon Starts Today! 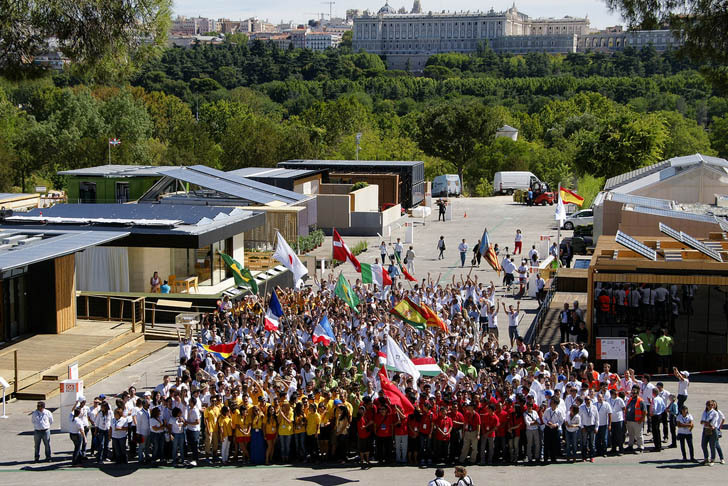 This morning marked the start of the 2012 European Solar Decathlon in Madrid, Spain - and Inhabitat is on the scene to bring you this year's crop of stunning solar-powered homes! Nineteen collegiate teams from around the world descended upon Madrid's Villa Solar just weeks ago, and they have been battling it out to build the best, the baddest, and the most breath-taking solar-powered house around. Now it's time to put all their designs to the test - over the next two weeks, each of the nineteen homes will be evaluated on everything from aesthetics to energy-efficiency and marketability to determine which deserves to be crowned reigning solar champ. Keep checking back for more updates and exclusive photos straight from the competition grounds -- we'll be on site at the Villa Solar for the run of the competition! Team Inhabitat is currently on-scene in Madrid to bring you coverage of all 19 Solar Decathlon Europe Teams as their sun-powered projects compete to be the world’s most efficient solar home. Stay tuned this weekend all through next week for exclusive photos and up-to-the-minute news as it breaks! Designed by the Technical University of Denmark, the Plus Energy FOLD House is a versatile modular home that can be configured in a variety of different ways depending on how its site is laid out. The Heliomet SunBloc House by the London Metropolitan University is designed to be placed on the rooftops of existing buildings, where it will supply electricity and hot water to its neighbors. Students from Spain's Basque University designed the Ekihouse - a solar-powered home wrapped in a steel mesh facade. The Omotenashi House by Chiba University is a gorgeous solar home wrapped in a green wall that was inspired by traditional Japanese architecture. 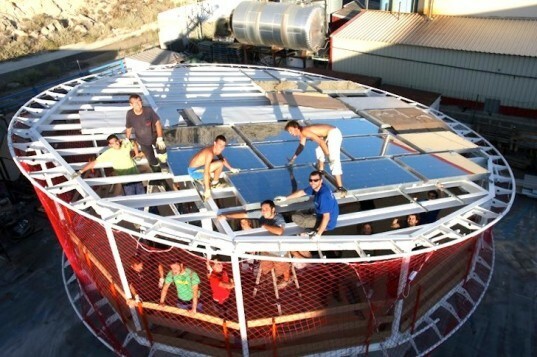 Team Zaragoza's Casa Pi is the only circular house in this year's European Solar Decathlon. The sun powered cylindrical home is designed to generate two times more energy than it consumes while cutting water use by one half. China's Tongji University drew upon Daoist principles to design the Para Eco-House - a self-sufficient home that takes advantage of Passivhaus strategies to keep its energy use to a minimum.